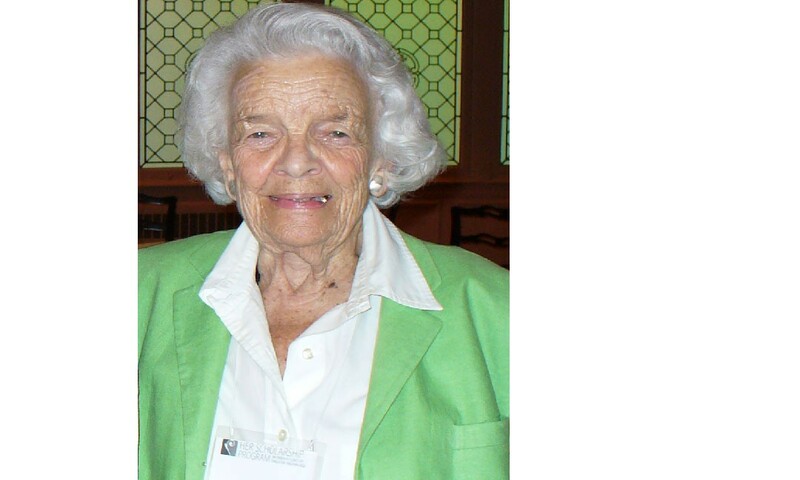 Annette Stoddard-Freeman who will celebrate her 100th Birthday this year, has been instrumental in paving the way for women to continue pursuing their educational and career goals. After the sudden death of her first husband, Jack Stoddard, she decided to continue her pursuit of obtaining a Master’s degree. That degree would provide the credentials she needed to secure a job that would enable her to provide for her five children. Much to her dismay, Annette discovered there was no financial support for women in the later stages of their lives wanting to go back to college. Her experience led to the establishment of the Her Scholarship, making much needed funds available to women over the age of thirty five returning to college. Annette’s crusade to provide financial support resulted in a philanthropic partnership with the late Sally Grootemat. Both women each made a significant donation of thirteen thousand dollars to spearhead the fundraising for the Her scholarship. Reaching out to their networks, they were able to start a fund at the Greater Milwaukee Foundation that continues to provide scholarships. Annette and Sally also decided to partner with the Women’s Fund of Greater Milwaukee to utilize the organization’s social change platform as a way to promote the importance of women getting an education and raise additional funds to increase the number of scholarships. The first student received a Her Scholarship in 1996 in the amount of seven hundred and fifty dollars. Since then, the scholarship amount has grown to three thousand dollars! Annette’s response to her own financial hardship continues to open doors of freedom for so many women and their families. She completely understood that everyone can do something to overcome barriers faced by others. The eighty one women who have graduated from college through the program would agree. The Women’s Fund of Greater Milwaukee along with the Her Scholarship committee and the women who are now college graduates join in celebrating Annette Stoddard-Freeman’s 100th birthday. To honor Annette by making a donation in her name to the Her Scholarship program, go here.